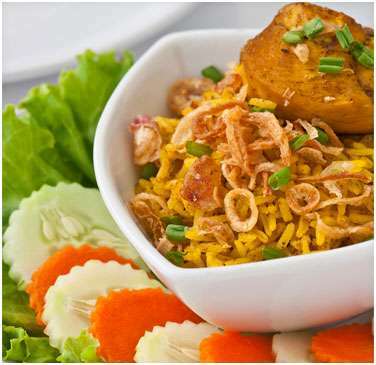 Thai Chicken Biriyani is the unique mixture of health and taste. It is the yummy combination of rice, chicken and spices. The addition of Dabur Hommade Coconut milk makes it yummier. Ingredients: Basmati rice- 2 cups, Chicken pieces cut to bite size -500 gms, Fish sauce- to taste, Tamarind water ? 250 ml, Jaggery- 250 gms, Dabur Hommade Coconut Milk. (3 pkts )- 450 ml, Fried onions(browned) - 1 cup, Basil leaves one cup and Potatoes ? 2 nos. Get ready for corbett fishing and angling tour! Learn mixed martial arts (mma) jiu jitsu, boxing, kick boxing, muay thai etc.